Public speaking is tough. The most confident adults find it hard to escape their sweaty palms and rapid heartbeat. You’re probably thinking about one of your own nerve-wracking presentations or speeches now. The good news is that we’ve all survived this challenging task and have gained a greater respect for seasoned speakers and rookies alike. This summer more than 90 students from Phineas Banning and Carson High Schools charmed us with their public speeches. Just look at how sharply they dressed! 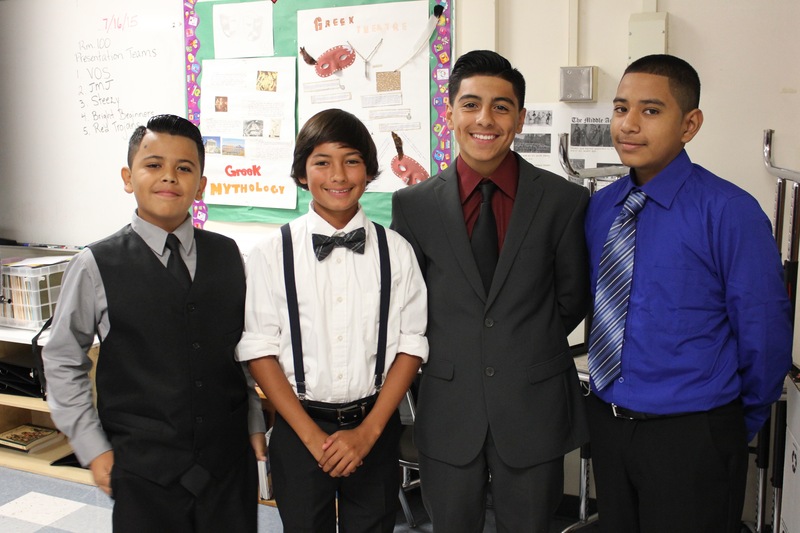 ITEP students from Banning High School dressed to impress for their Summer Bridge project presentations. ITEP teamed up with the Center for Powerful Public Schools to support their Summer Bridge Program and introduced incoming freshmen to high school and leadership opportunities. These students researched local businesses (20 total) and collaborated with their classmates to create marketing plans aimed at attracting teen customers. Students from Carson High School explored eight businesses at Carson’s SouthBay Pavilion Mall while youth from Banning HIgh School discovered businesses within walking distance to their campus. At the end of their research, all student groups presented their recommendations via PowerPoint to a panel of judges consisting of business owners/managers, ITEP industry volunteers, and school faculty. 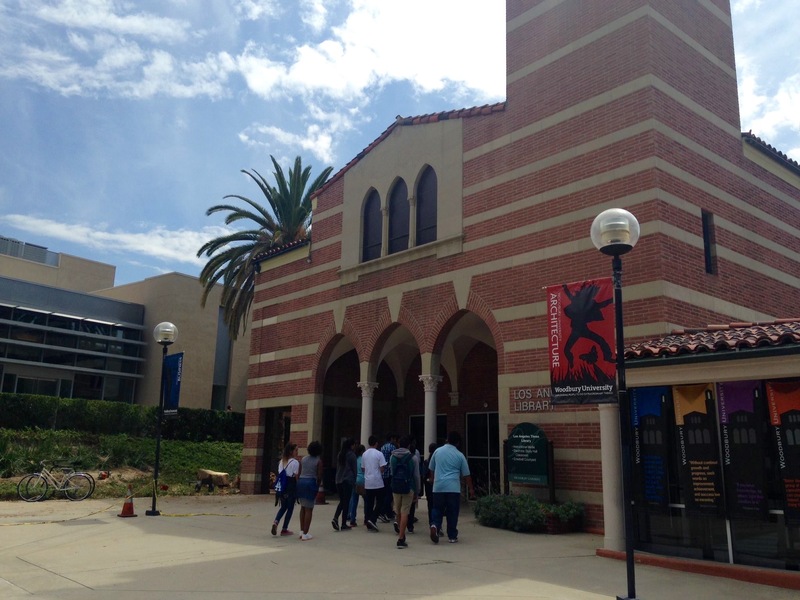 Woodbury University sponsored a campus tour for the Summer Bridge Program participants from Carson High School. Incoming ITEP freshmen present to a room full of students, teachers, parents, and local business panelists. The summer project enabled students to be a part of their business communities, not as teen consumers but as supporters, researchers, and marketers. This was the first of many steps these youth will take to explore the world of work. These students now have a head start in high school and are connected to a community of peers, teachers, and administrators to support their journey during the next four years. 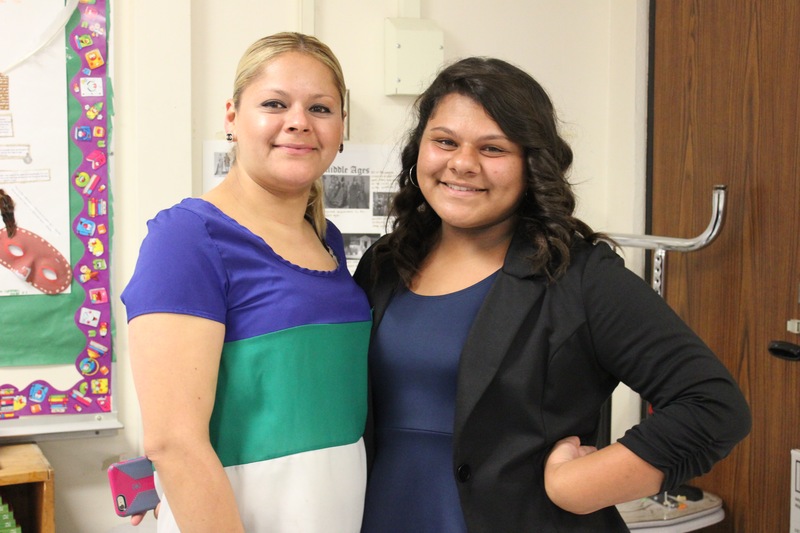 ITEP loves to see parents supporting their children as they prepare for their future. Parents are a vital part of the ITEP family! We’d like to thank the Center for Powerful Public Schools along with our outstanding business participants and volunteers who support our promising youth. The Summer Bridge Program is supported by Linked Learning at LAUSD via funding from the Department of Labor’s Youth Career Connect grant. 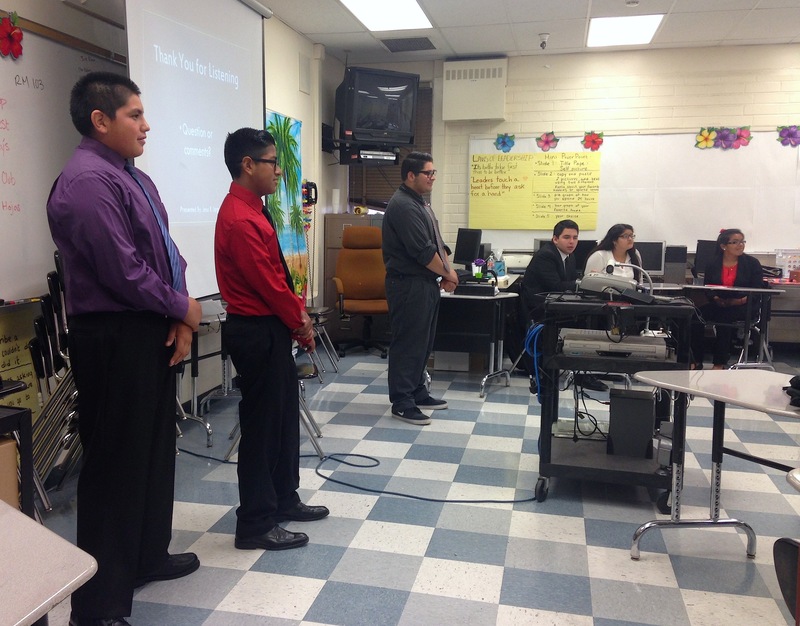 Check out our Summer Bridge program students at Carson High on ITEP’s Facebook at: http://on.fb.me/1JS2iFg.